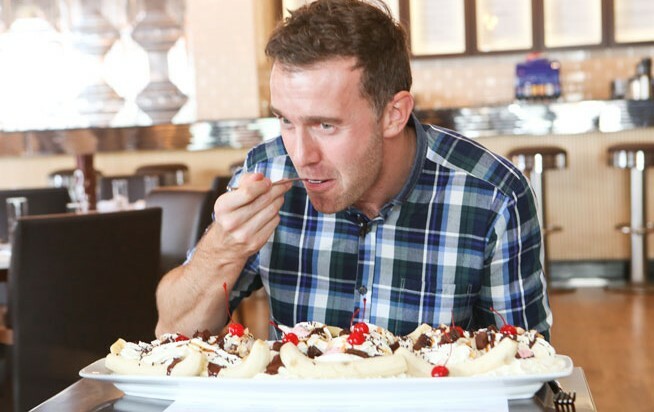 What’s On takes on the biggest dessert in Dubai, at Mo’s City Walk. 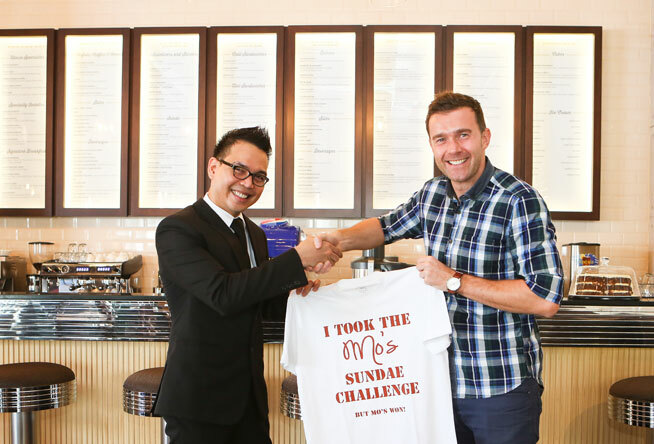 Watch the latest eating challenge video, as part of their ‘biggest in Dubai’ series. A great woman once said, “Never eat more than you can lift.” (Thanks, Miss Piggy, for those words of wisdom). What’s On very nearly broke that rule while eating at Mo’s. 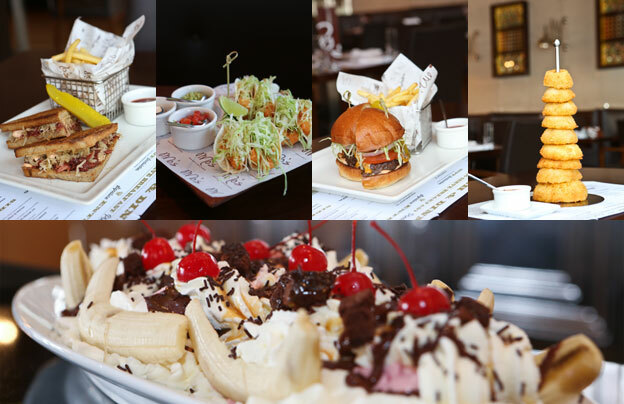 Their Infamous Party Sundae is the biggest dessert in Dubai, comprising eight scoops of ice cream, four bananas, brownies, caramel sauce, hot fudge, toasted almonds, chocolate sprinkles and eight maraschino cherries, topped with whipped cream. Elsewhere on the enticing menu are hot and cold sandwiches, milkshakes, salads and burgers. The onion ring tower is one of the best-looking dishes we’ve seen in a long time. It resembles a children’s toy, with nine rings sitting on an upright pole – a toddler would have hours of fun playing with them. The crunch was just right, as was the amount of onion inside. The Reuben sandwich was a bit soggy, sadly. A much better idea is the buffalo chicken wrap, which was nicely spicy and densely packed with good, crunchy chicken, crisp lettuce and blue cheese. The TNT shrimp tacos also had a kick from the chipotle mayo, while the classic burger looked so perfect it could have been a cartoon. It tasted pretty perfect too. Mo’s is very New Yorky, with silver tin panels covering one wall behind the counter, and walls clad in white tiles. Pretty display cases feature milk bottles and their colourful foil tops. They’re open for breakfast (opening at 8am, good for early birds), lunch and dinner and, of course, they’re always open for dessert.